The word “regulation” is kind of a strange word when we think in terms of pianos. It’s usually used in a context of laws, or rules, of behavior. In pianos, it means to reestablish the proper adjustment of the “action”, the mechanism which connects the keys to the piano hammers. The action is the via media of the pianist and the strings. It is very carefully made and adjusted, and there are hundreds of moving parts in it. Each has an important role in making the piano play properly, and in each there is the possibility that something could go wrong. 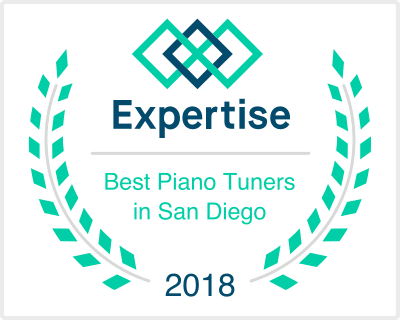 A piano technician is supposed to know what every one of these moving parts is supposed to do, and if they are actually doing their job properly. 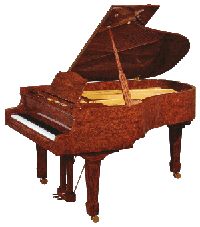 Since piano actions are made mostly of wood and wool felt, they are affected by the atmosphere in which they live. If the climate around the piano is very damp, or is exposed to changes in temperature or humidity, these parts swell or contract. Proper adjustment (aka “regulation”) is done in terms of hundredths of an inch in most cases. Actually, it is amazing that the piano action works as well as it does, considering the very tight clearances and adjustments that need to be made, all while the atmosphere is changing around it. Then, there are also tiny critters like silverfish, worms, and insects which sometimes invade pianos and eat away at the tiny felt parts inside, causing major problems which need to be addressed. All of this is to say your piano probably needs some regulation if it is more than 10 years old. Parts wear out, and things go out of adjustment just like in your car. Periodic maintenance is necessary in both. Maybe you think, “Well, that’s just how it is”, but you may be very pleasantly surprised at how much better it feels, and how much easier it is to play your piano after it has been regulated. If you suspect something is wrong, or you would like to get an expert opinion, give me a call. I’ll be glad to inspect it to see if it needs regulation. Where is the best place for my piano? This question comes up when the piano is moved for some reason. Maybe it’s a new piano, or perhaps you would just like to rearrange the room and put the piano in a different location. Is there any consideration as to the effect on the piano? The answer is yes. In addition to the stability of the tuning, the sun’s rays are extremely powerful, and can cause fading of the finish and stain. Often I find pianos, especially grand pianos, that are faded where the lid flap was folded back , and underneath the color is much deeper. Often there’s nothing that you can do, except for getting a protective cover. A string cover, for grand pianos, is a very good investment. It lays inside the piano just above the strings. Made of wool, it absorbs moisture and keeps the temperature and humidity constant so the tuning will be much more stable. Especially in humid areas, it will also keep the strings from rusting. And of course, it will keep the inside of the piano very clean (assuming it was clean to begin with!). Often, there isn’t anything one can do, and so the piano has to be placed where it needs to be. Just be aware that it may not hold a tuning very well if the conditions are not ideal. I’ll be glad to retune it more often for you! So, that’s it for today. If you have any questions, please let me know. A temperament is a tuning scheme for a piano, or any stringed instrument. Historically, pianos were tuned in various ways as a kind of palette for the composer. Many of the great composers actually invented their own way of tuning their piano. Tuning their piano was necessary because the pianos were not built strongly enough to withstand the tension. In the process of tuning, they would create a different sound for each individual key signature. This is the reason they specified a particular key signature for each composition. If you play an interval, like a third, you will hear a vibrato or beating of the two notes when sounded together. If you were able to tune the strings yourself, you would notice that the beating speed changes as you flatten or sharpen the notes. Using this phenomenon of beat speed, the composers would create a key signature with a vibrato (beat) that would complement the composition. For example, if they wanted to write something soothing, like a love-song, they would choose a slow vibrato. Similarly, if writing a piece with a lot of tension in it, they would use a key that had a faster vibrato. There are many historical temperaments created by composers in the past, some of which were quite wild. In fact, some key signatures were not used because the beating was obnoxious and sour. They were called “wolf” notes, for good reason! By the law of physics, creating octaves and intervals within it requires a certain amount of fudging and massaging to allow all the different key signatures to exist simultaneously. When you sharpen or flatten a note within the octave, the inverted interval is also affected, so if one moved a particular note too far, the complementary note would become a wolf note, and the key signature that it was associated with would not be usable. Nowadays, almost all tuners use the modern “equal temperament” in which all the notes are spaced equally. The advantage is that one can transpose to any key signature without changing the vibrato. The pitch frequencies for each note are equally spaced within the octave. If one wanted to try a special temperament on his or her piano, if the effect is found to be unacceptable, one would have to pay to have another tuning to revert it back. Many modern keyboards have a switch which will simulate the sound of an historical temperament, which is an easy way to get the feel of the way the composer intended the piece to sound. For more information on this and other subjects, please contact me. This question is one I get most often. The answer easy answer is- at least once a year. There’s more to this than it appears, however. There are factors that will affect the tuning that might make it necessary to tune it more often. First, if you intend to use the piano for performances, such as a concert on a stage, the piano will need tuning much more often. Often, pianos on a stage are tuned several times before the performance, and during the intermission also. Second, if the piano is moved, or subjected to changes in temperature or humidity, the piano may go out of tune. That’s why one should wait until the piano has acclimated to a new position if it has been moved. The piano sits in it’s own microclimate, and over time it will become stable in that climate. Even moving it across the room may possibly cause it to change. Third, if you have a particularly discriminate ear, or have perfect pitch, you may be irritated if it drifts out of tune even slightly. If it bothers you, maybe you need to tune it more often. If your piano seems like it needs tuning more often, a humidity control system, called a “Damppchaser” may be helpful. It works by adding a gentle heat inside or under the piano so that it isn’t affected so much by atmospheric changes. The bottom line is, it depends… How good is your ear, and how fat is your wallet? And what are you using the piano for? If you can answer these questions, you can make your own decision. This is a question I get often. Usually, a mild detergent applied to a cloth will suffice to get most dirt off the keys. Be sure not to wet or spray directly on the keys. If there is sticky reside that won't come off, use naptha (paint thinner) to remove it. Ivory or Plastic? Keys are either plastic or ivory. How do you tell which one you have? Look very closely and see if you can find a grain pattern which is unique to each key. There will be a very faint line where two pieces of ivory overlap. The key will feel cold to the touch, and moisture will disappear into it. Plastic keys will feel warm,and moisture will not penetrate. Marks and Residues: If there are stains or marks from a pen, it may be necessary to use a more aggressive procedure to remove them. Using chemicals like polish remover is not recommended because they will melt plastic. Toothpaste, or Flitz, or plastic polishes can be used with a cloth to remove stains and pen marks. If the marks won't go away, they may have to be sanded and buffed out. Unless you're very handy and have experience polishing plastic yourself, give me a call and I'll take care of it. Overview: Deciding which way to go is a choice that takes some thought. In the current market, there are a lot of pianos for sale. Craigslist is clogged with pianos for sale, local stores are stocked full of them, and piano owners find the squeeze of economic necessity pushes them to sell the piano to help pay for household expenses. On the other hand, maybe the piano you have has been in the family for a long time, and you'd like to restore it to its original condition. Rebuilding your piano: If you want to keep the one you have, you'll need to have an estimate of the cost to rebuild it, which could be several thousand dollars. If it's a famous brand like a Steinway, you could end up with a piano worth more than the original purchase price. However you should know that most pianos may not be worth the money you spent if you sold it later. Replacement choices: If your heart is set on upgrading to a new or better piano, you'll need to consider some options. Maybe you've always wanted a grand piano, so do some measuring and see if it will fit in the space you have. If you want one badly enough, somehow you'll find the right place for it. What kind of decor you have might determine the color or style of cabinet you'd like. On the other hand an upright piano takes a lot less space, and the larger upright pianos can sound even better than many baby grands. What to look for: The most important advice I can give is, play the piano yourself. You must love the piano, how it plays, and how it sounds. Don't just buy for a name on the fallboard. The larger pianos are going to have a bigger bass sound, and more volume overall. If you can afford a larger piano, go for it. Spend more than you can afford! You'll never regret it. If the touch is too heavy, maybe you need to keep looking. It's not easy to change the touch on a piano, and can be expensive too. Better to find something that you're used to, and that can give you the most control. If you're unsure about which one to buy, ask a friend or a piano teacher to help you choose. Used vs. New: It's always safer to buy new. You'll have a warrantee, and you won't have to worry about problems that may come up. Paying over time allows you to afford something that otherwise you'd not be able to afford. On the other hand, there are many pianos for sale for much less than the original purchase price, and now that they've been in use for a while, most of the potential problems are worked out. And there are no sales taxes to pay. As I said before, there are many deals out there that only a few years ago would be unthinkable. Even from dealers, bargains can be had both in new and used pianos. Pre-Purchase Inspections: Once you find the piano you like, and that fits your budget, be sure to have it inspected for possible problems or defects. You can make an appointment to have it inspected by clicking on the left panel "Select Your Zip Code". You'll see the appointment calendar where you can choose a time and day and where to meet. Negotiation: Now that you've found the piano of your dreams, it's time to bring out your best negotiation skills. Don't be afraid of making an offer lower than the asking price. Like buying a used car, the sticker price is not the last word. Maybe you can ask for some concession to "sweeten the deal", like free delivery or maybe some free tunings. Dealers are often able to offer these to the piano buyer. If the seller is a piano technician, he can offer you a maintenance plan to cover incidentals or problems that may come up. Bottom Line: You need to do some soul-searching and homework before you make your decision. Don't be pressured into a sale. It should be a fun experience. Piano sales are a buyer's market nowadays, so relax and enjoy the process. You'll be richly rewarded for your efforts. Good Luck!